 Macomb Community Action's Transportation program provides transportation to essential medical appointments and other specific locations for eligible Macomb County residents. Services are also provided in coordination with Macomb Community Action's other programs such as Head Start, Meals on Wheels and Adult Day Care Program. Must be a Macomb County resident. Must meet Community Services Block Grant income guidelines. Must complete an application for service at a designated Community Action Center. Must have a documented need for medical treatments. Does not live with someone who owns and drives a vehicle. A caregiver must assist any rider who is unable to meet the vehicle curbside without assistance. Requests for transportation must be made during regular business hours: Monday - Friday, 8:30 a.m. - 5 p.m.
Transportation operates between the hours of 6 a.m. - 4:30 p.m. Riders must depart for their final destination by 2 p.m.
Requests for rides must be scheduled at least one week in advance of the needed service, two weeks advance notice is suggested. Requests can be made up to two months in advance. Specify special accommodations needed, such as hydraulic wheelchair lift. Must provide the name of the person who will help the rider board and depart the vehicle if assistance is necessary. The day before the scheduled ride, the Transportation program will call to confirm an estimated arrival time and the number of people to be transported. Riders should be ready to depart upon arrival of the Transportation vehicle. Riders should notify the Transportation program if they have arranged for transportation home from a destination. 24 hours advance notice is required to cancel a ride. Trips are primarily limited to destinations in Macomb County. Macomb Community Action, in partnership with SMART, has vehicles designed to accommodate people who use wheelchairs. Hydraulic lifts allow frail or physically challenged people to be transported in their wheelchairs. If you live in: Armada, Bruce Township, Chesterfield Township (north of 23 Mile Road), Lenox, Macomb Township (north of 23 Mile Road), Memphis, New Baltimore (north of 23 Mile Road), New Haven, Ray, Richmond, Romeo, Shelby Township (north of 23 Mile Road), or Washington Township. If you live in: Chesterfield Township (south of 23 Mile Road), Clinton Township, Fraser, Harrison Township, Macomb Township (south of 23 Mile Road), Mount Clemens, New Baltimore (south of 23 Mile Road), Shelby Township (south of 23 Mile Road), St. Clair Shores, Sterling Heights, or Utica. If you live in: Center Line, Eastpointe, Roseville or Warren.